SA recently published the Integrated Resource Plan 2018, a 20-year energy roadmap to meet SA's future power needs. South Africa's nuclear energy industry is unhappy with the country's energy plans, which pave the way for renewable energy while not mentioning nuclear in the mix. In August, energy minister Jeff Radebe published the long-awaited Integrated Resource Plan (IRP) 2018, a 20-year energy roadmap to meet SA's future power needs. In 2030, the government envisages the energy mix will consist of 34 000MW of coal, representing 46% of installed capacity; 11 930MW of gas, or 16% of installed capacity; 11 442MW of wind, or 15% of installed capacity; 7 958MW of photovoltaic (PV, or solar); and 4 696MW of hydropower, or 6% of installed capacity. During former president Jacob Zuma's tenure, there were fears SA was going to snub renewable energy investments in favour of nuclear. Ex-finance minister Nhlanhla Nene recently told the state capture inquiry that it was his refusal to sign off on a massive nuclear expansion deal that cost him his job in 2015. Gaopalelwe Santswere, a registered nuclear physicist who is executive chairperson of the South African Young Nuclear Professionals Society and president of African Young Generation in Nuclear, is afraid SA stands at the precipice of anonymity. Santswere says SA risks losing its permanent seat on the International Atomic Energy Agency (IAEA) board of governors, IAEA's principal decision-making body, if Egypt, which recently signed a 4 800MW contract, or any other African country brings online nuclear power generation capacity. He points out that the IAEA statute, as amended up to 28 December 1989, states: "The outgoing board of governors shall designate for a membership on the board the 10 members most advanced in the technology of atomic energy, including the production of source materials, and the member most advanced in the technology of atomic energy, including the production of source materials." According to Santswere, government's indecisiveness and unassertiveness weakened SA's posture on the continent and in time will likely undermine its influence on geopolitical issues. "South Africa stands to lose even more now that a significant number of African states have declared their progressive intentions and plans to pursue nuclear technology development." 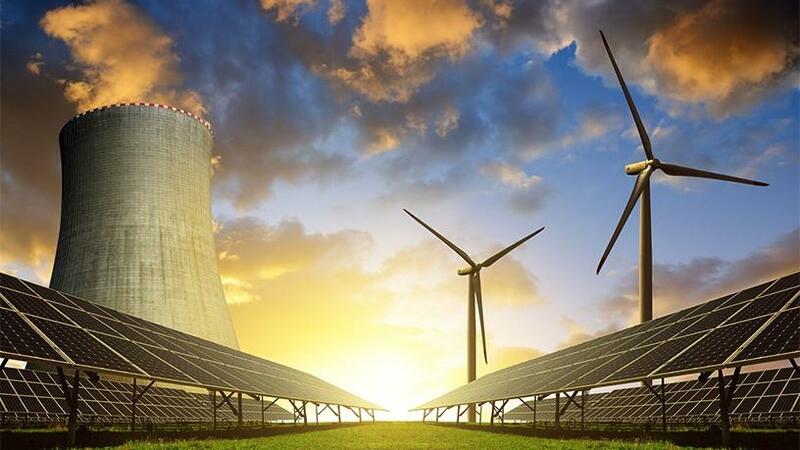 The Nuclear Industry Association of South Africa (NIASA) recently pointed out that government's push to develop alternatives in renewables is praiseworthy; however, not considering all energy sources and resource constraints objectively is a serious cause for concern. NIASA points out that while the new Integrated Resource Plan 2018 makes provision for consideration of nuclear after 2030 under scenarios where the country strictly enforces carbon emission targets, in its assessment of sustainability, government seems solely focused on weighing the pros and cons of individual technologies. "Largely viewed as a populist move, nuclear energy does not even feature on the recently released but yet to be debated Integrated Resource Plan 2018," says Santswere. "Much of the abhorrence to nuclear stems from the manner in which the previous administration sought to bluntly push a nuclear deal. Government's blind and blanket opposition would prove to be unwise." He points out that historically, SA has been a nuclear pioneer on the continent and successfully generates 5% of clean power from a single location reactor in Cape Town. "There is immense potential for nuclear to provide a clean base-load source of energy to meet South Africa's energy deficit while also minimising carbon emissions in line with its Intergovernmental Panel on Climate Change commitments commonly referred to as the Paris Agreement. Additionally, SA has been developing nuclear technology to use for non-power uses, becoming a leader in global nuclear medicine production." According to Santswere, every year more than 40 million people globally receive life-saving medical diagnosis or treatment using nuclear medicine, of which around 25% of medical radioisotopes used in these procedures come from just one nuclear reactor in SA: SAFARI-1 operated by the South African Nuclear Energy Corporation. Africa is one of the largest producers and resource base of uranium in the world, says Santswere. He adds that projections from the IAEA, based on national plans for nuclear expansion, indicate that by 2050, more than 85% of Africa's uranium will be exported for beneficiation elsewhere in the world. Very little of this will return to Africa to be utilised in our nuclear reactors, Santswere notes. "As the nuclear leader in Africa, if we as South Africa were not to raise the bar and change these projections, what kind of example would we be setting for our continental neighbours? The benefits in terms of skills and competence in areas where SA is already a leader could be lost forever. "The least the government can do is stay informed on the progress BRICS nations are making on nuclear and consider the technology in their ongoing discussions around options for increased energy access for all South Africans."